it’s finally fall!! 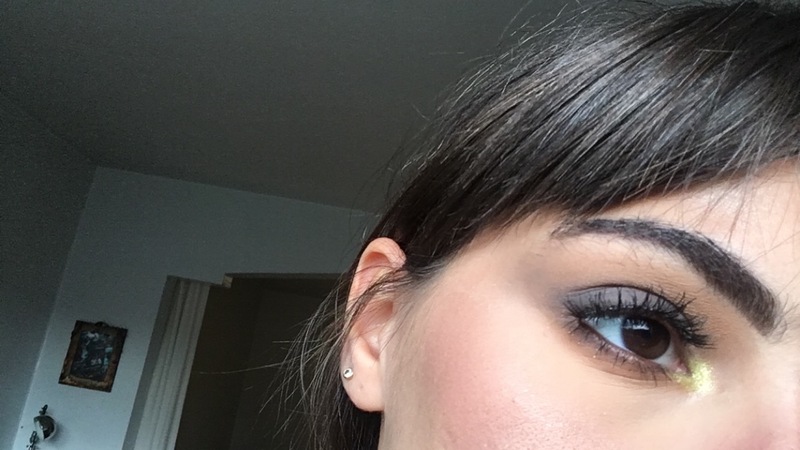 well, technically, tomorrow will be officially fall but I am back with a Makeup look and this is my first Autmnal Makeup look of the year. 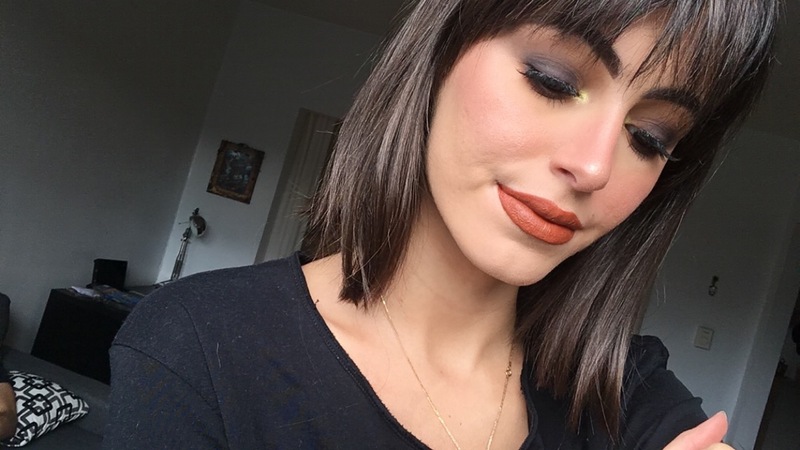 It’s pretty simple, as you can see, I created a black smokey eye with a mustard colored crease, a vibrant green in my inner corner and dirty mid-tone orange lips. 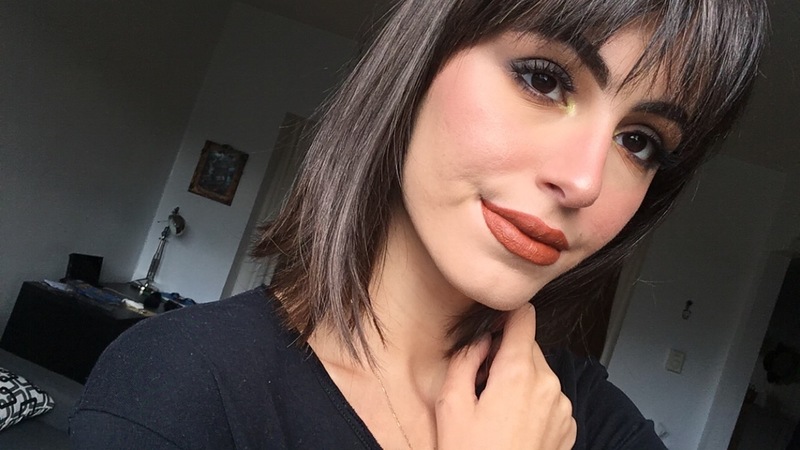 I really wanted to create a look with this lipstick cause I honestly think the shade is gorgeous and is perfect for fall! 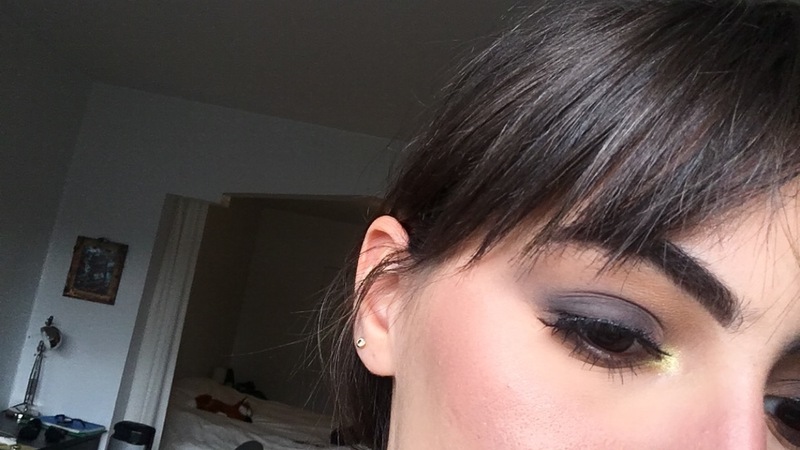 Now, if you want to know how I achieved this look here then keep on reading! Afterwards, I applied the black shade all of my lid. 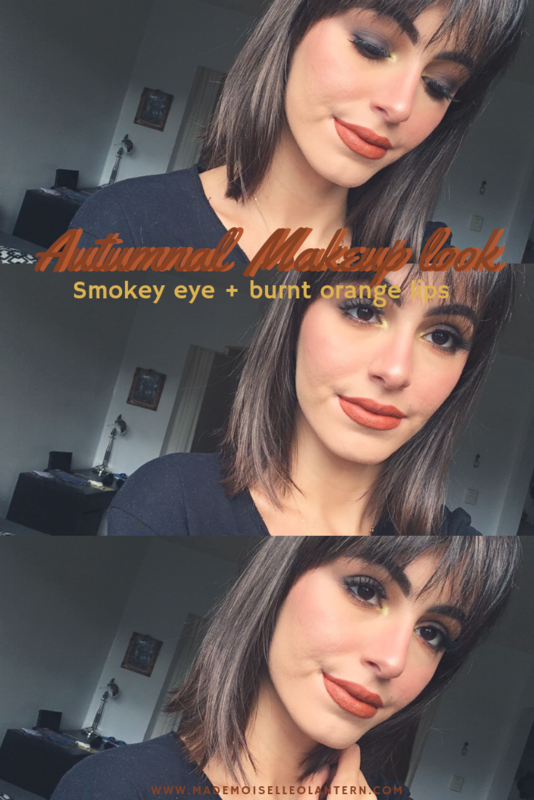 Love this autumnal look! Also love your haircut :). Making me want to get bangs again. aww thank you!! I love bangs, they are so trendy! I LOVE that lip color especially, what a perfect shade for fall. thank you!! Autumn is my favorite season!! So pretty, I honestly am always doing the same look, I REALLLLY need to change it up a bit!! I wonder how the mustard colour would work with my blue eyes?? 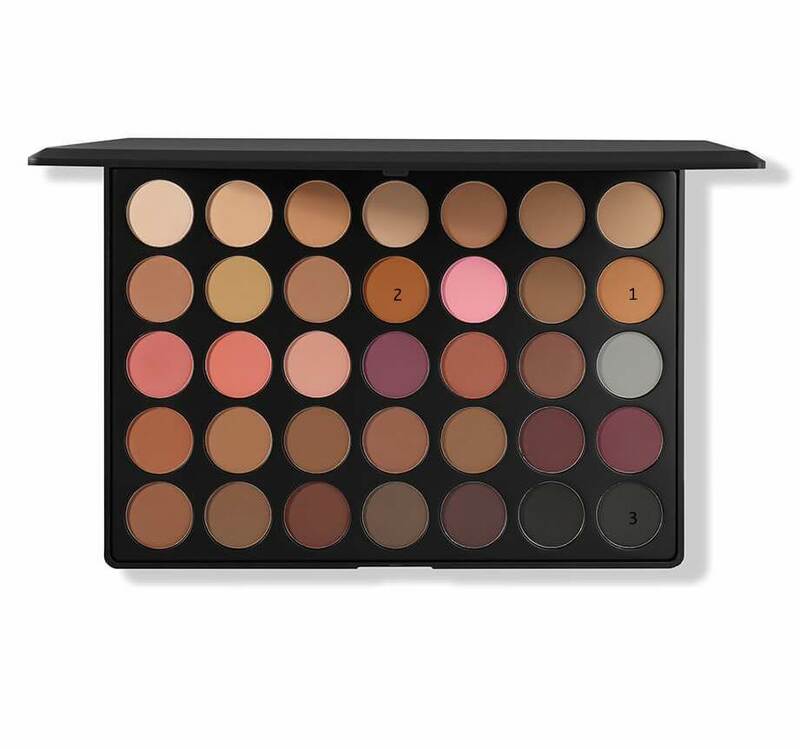 I love this whole color palette! 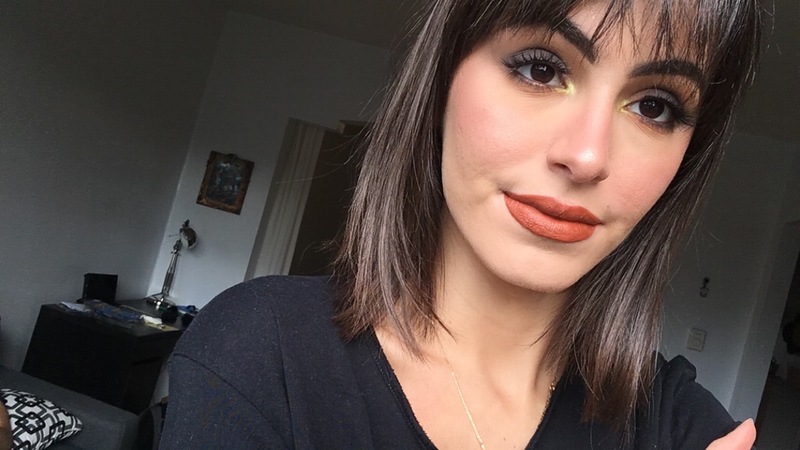 That lip shade is gorgeous and absolutely perfect for fall! I LOVE that lip shade! !